The small wood frame building, c. 1900, is a rare example of a praise house. Praise houses were first established on plantations as places to meet and worship. 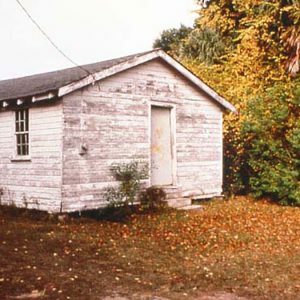 Since there were few formal church buildings on St. Helena Island, most islanders could only walk or ride to the main church on Sunday mornings. For other meetings or services, they used praise houses, holding services on Sunday night and some weeknights. There were as many as 25 praise houses on St. Helena Island as recently as 1932, but only four remain today.